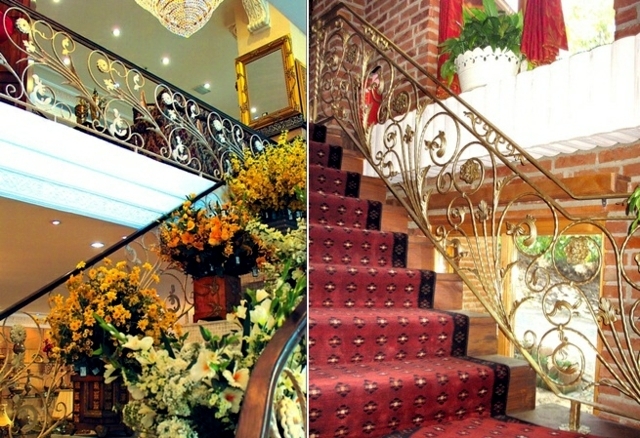 5 Ideas for wedding – romantic, glamorous, opulent or vintage? 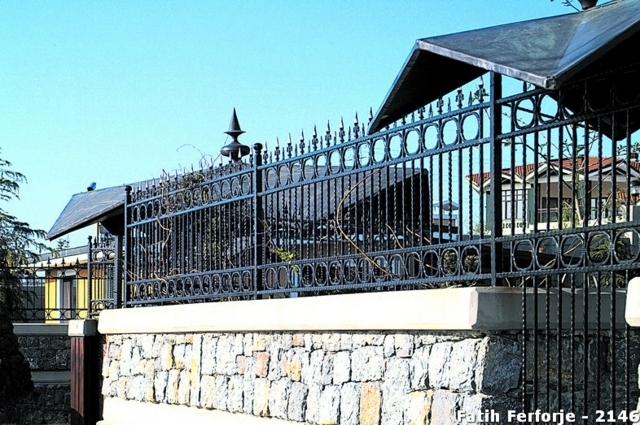 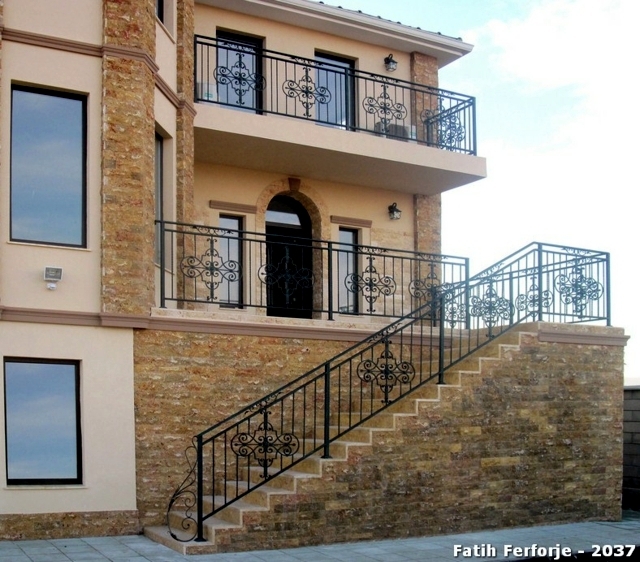 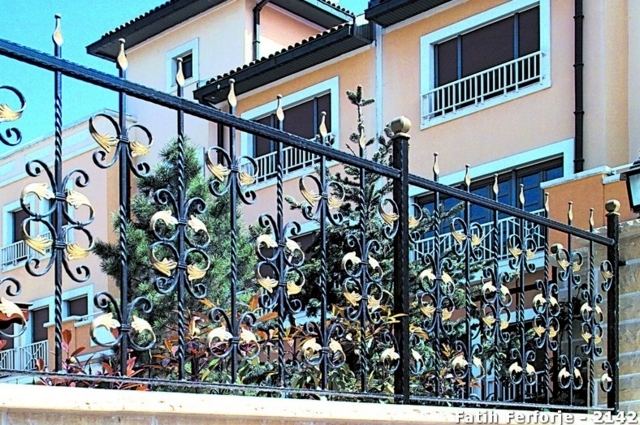 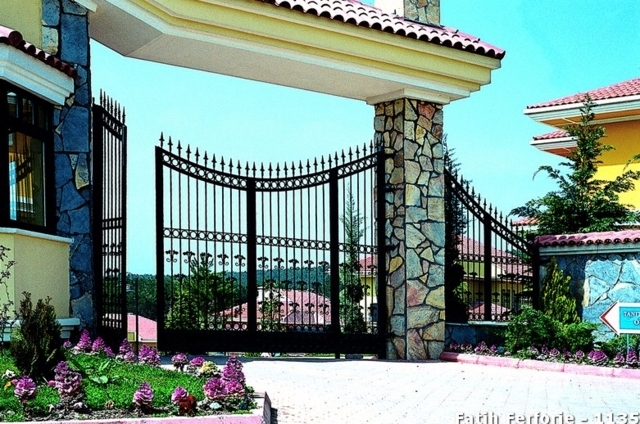 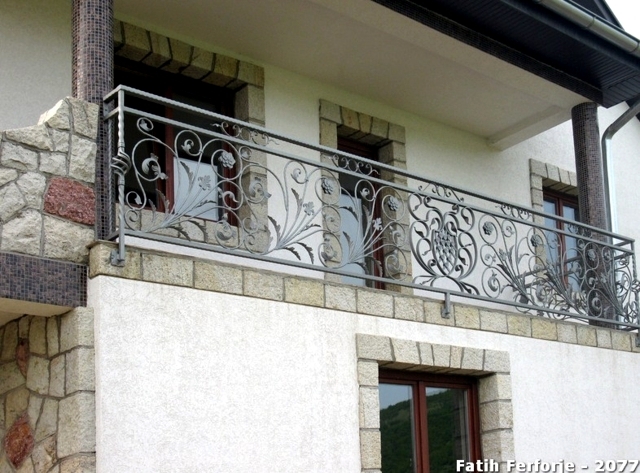 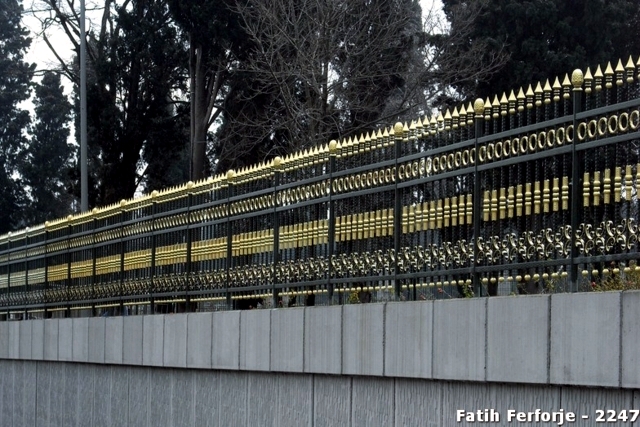 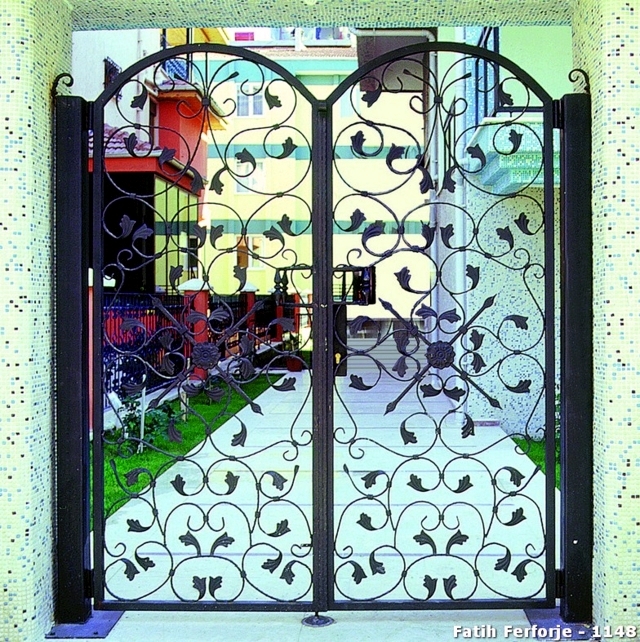 Home > Interior Design > Wrought iron in architecture – 107 fences and railings. 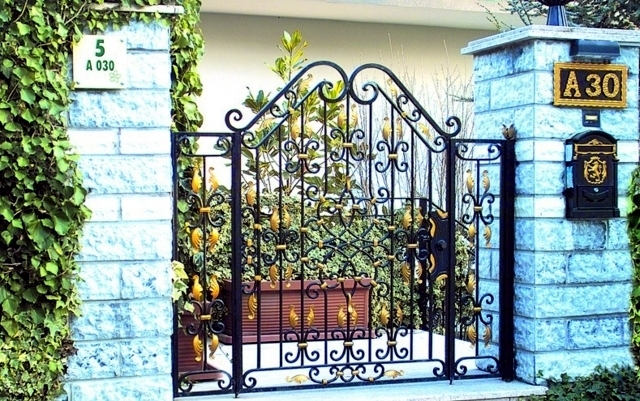 Bring a touch of comfort into the garden or home with a fence, gate or with wrought iron railings. 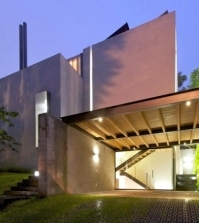 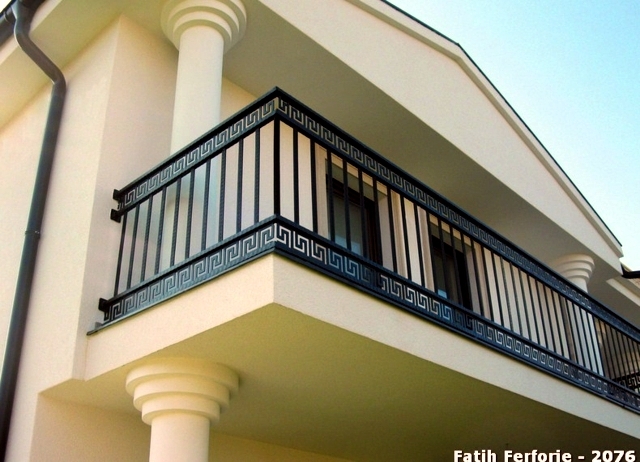 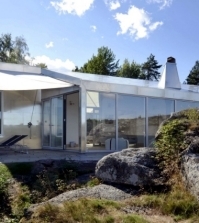 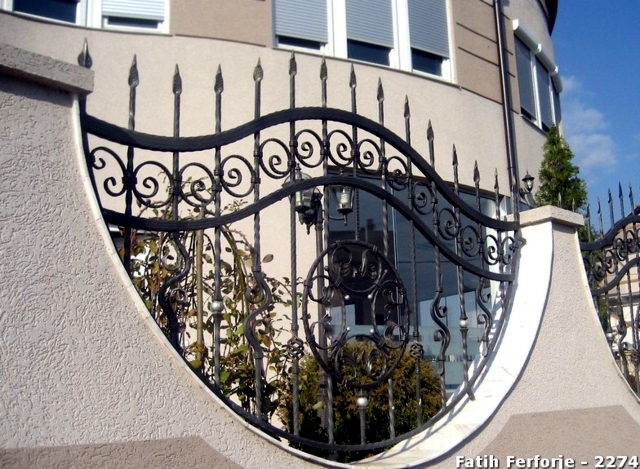 We looked at possible applications of wrought iron in architecture and found 107 inspirational ideas..
Wrought iron in architecture - if properly maintained, the material is extremely resistant. 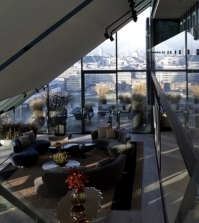 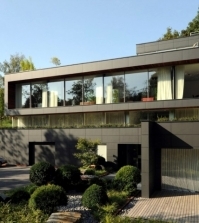 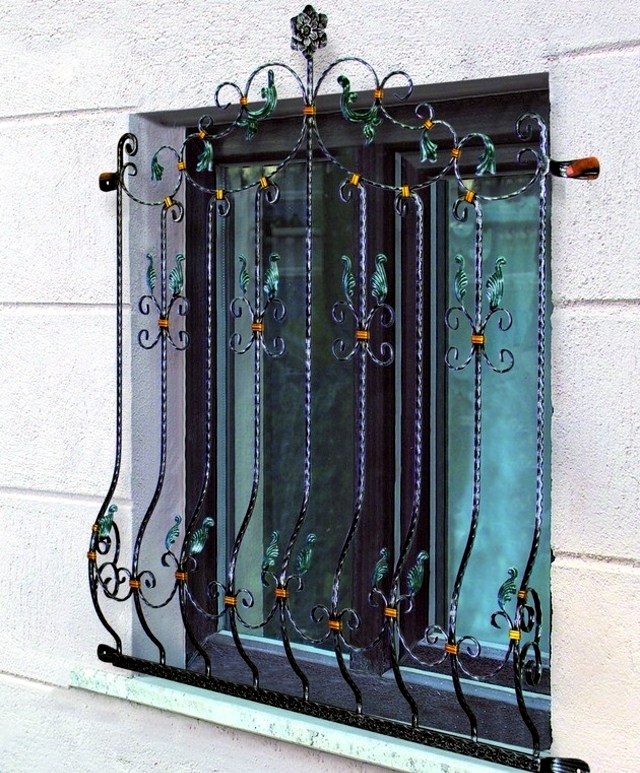 More and more home and apartment owners are choosing to incorporate iron into their windows, balconies and outdoors areas. 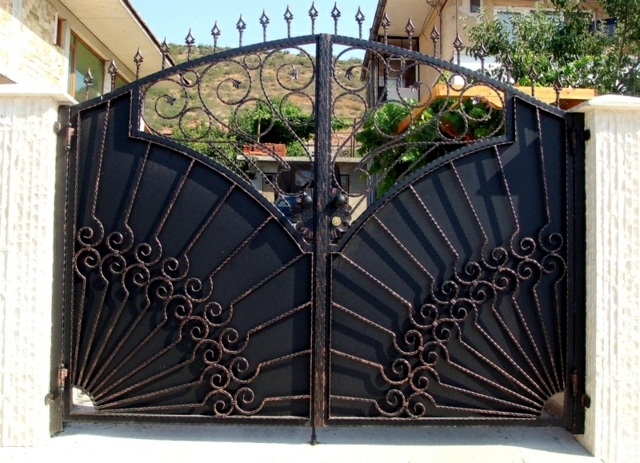 It is worth investing time and money into acquiring the correct equipment and knowledge to enable you to care for the iron properly, if you do this it's longevity will be inordinately increased. 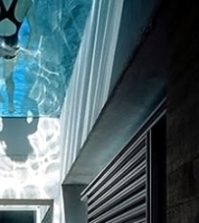 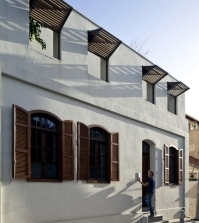 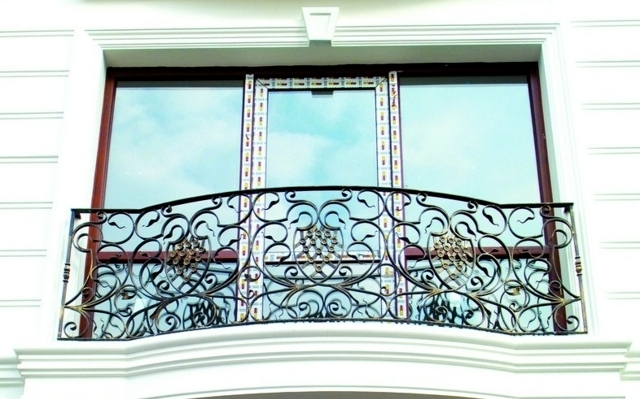 Maintenance will also preserve the vibrancy of the decoration for as long as possible. 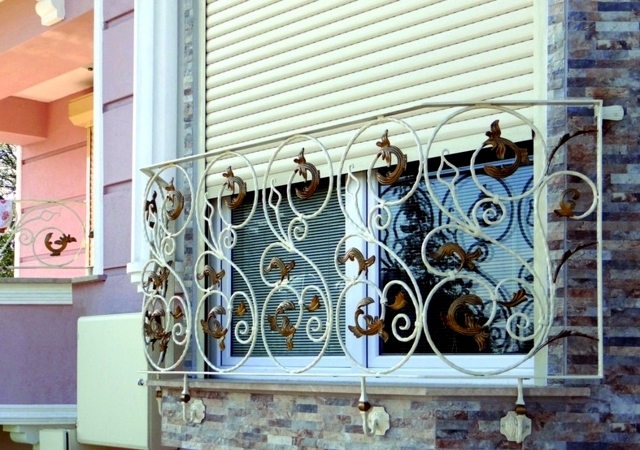 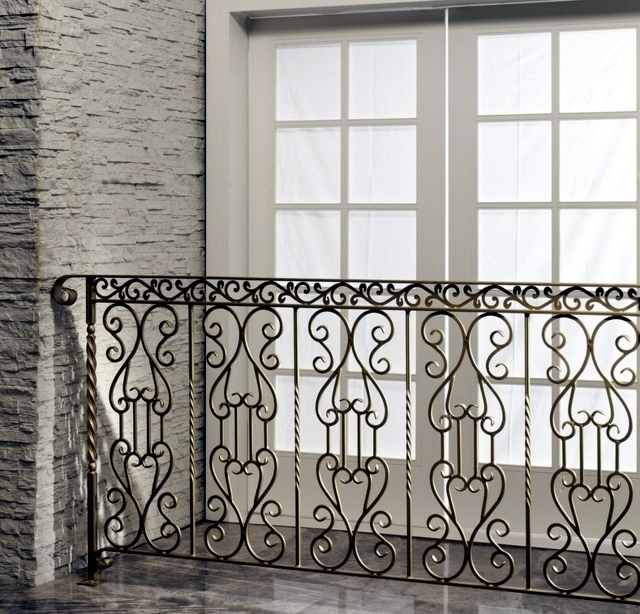 Wrought iron can be used for a wide variety of furnishings from balcony railings to window guards, doors , fences and garden fences. 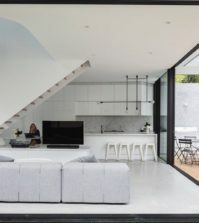 You can have a lot of say in the design process of your pieces and make sure the finished product is going to fit with the surrounding area it is ultimately going to end up in. 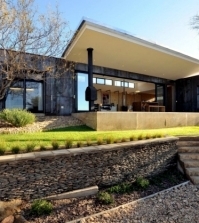 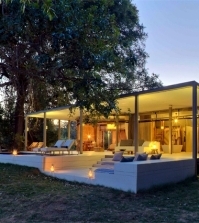 Your structure is delivered in separate pieces and then assembled onsite and this reduces the costs and also the time you have to spend overseeing the construction. 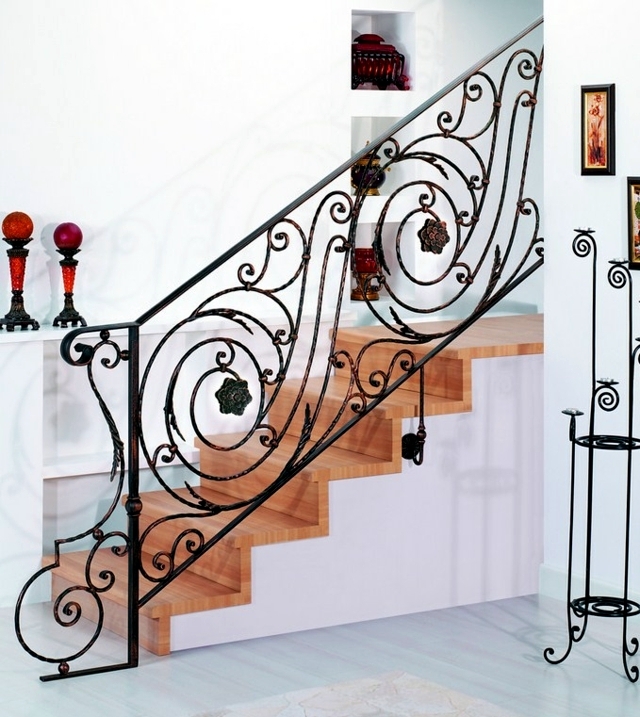 You might also be interested in wrought iron mountings as a decorative element for your walls. 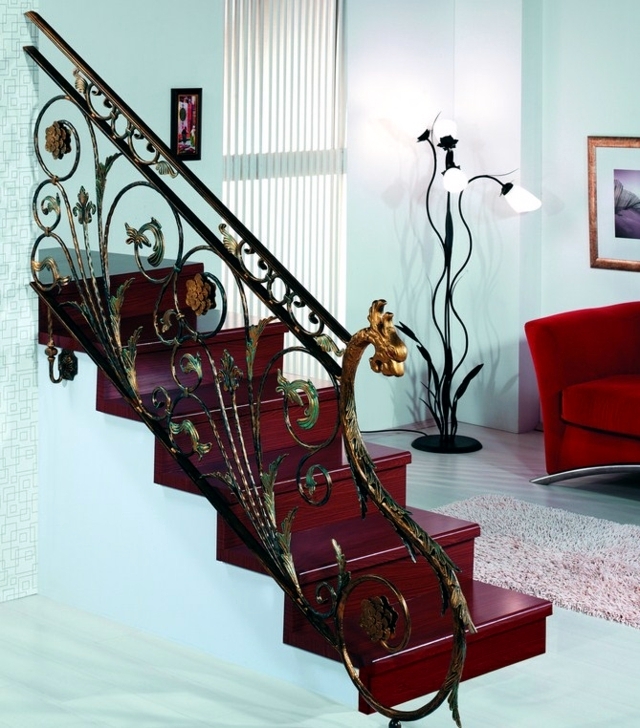 Decorative themes on a spiral staircase can really liven up your living space and bring it to life. 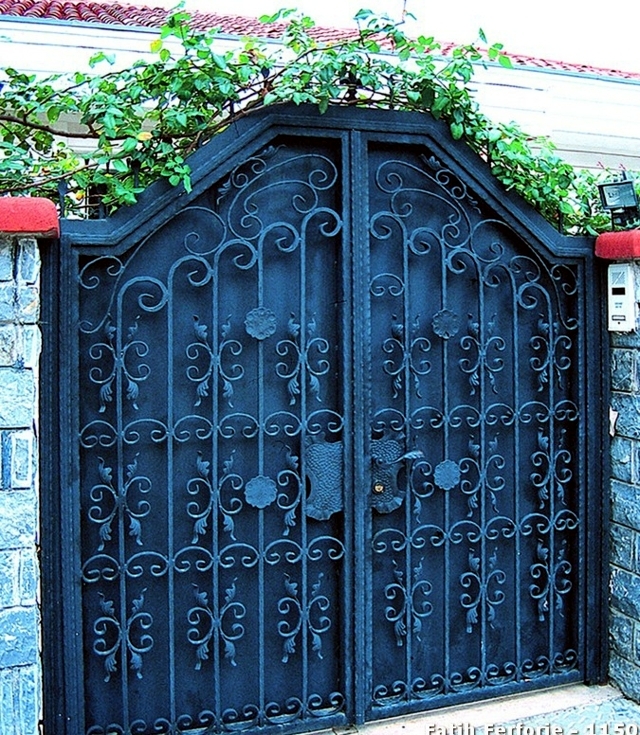 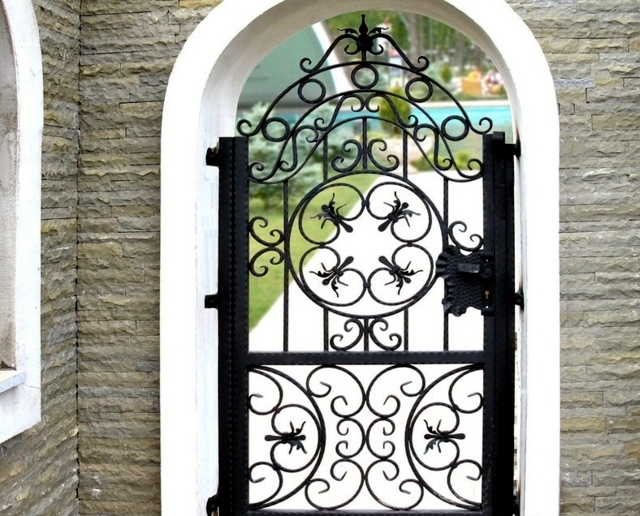 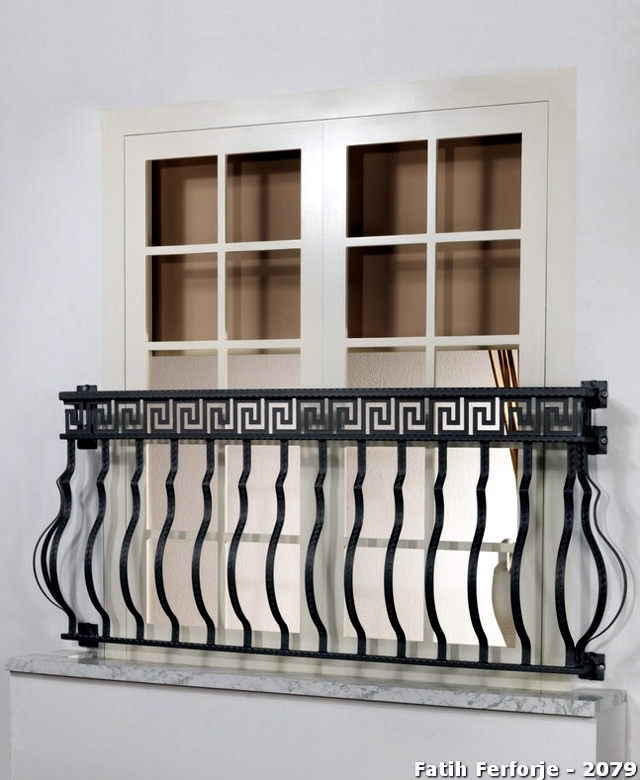 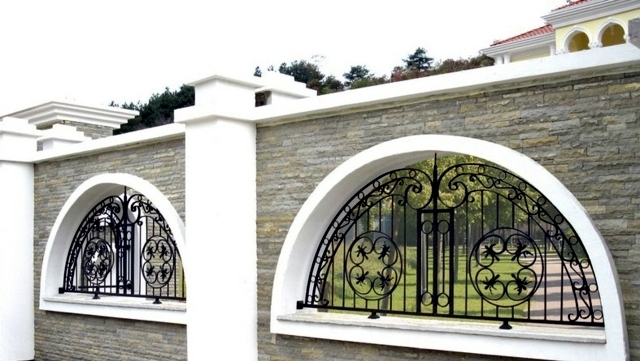 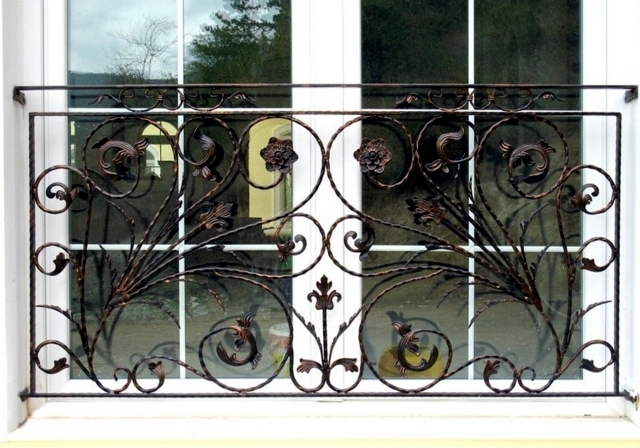 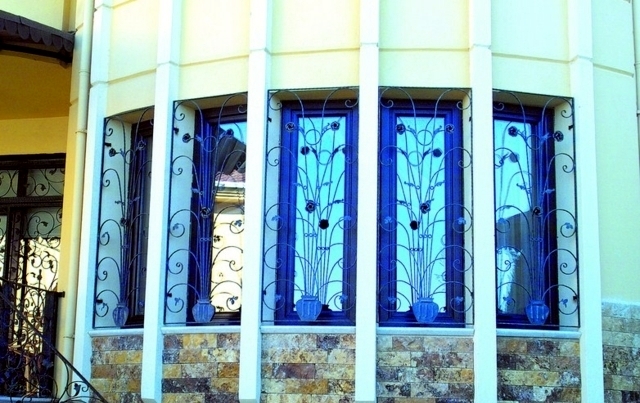 Each element of wrought iron should be treated with a special paint. 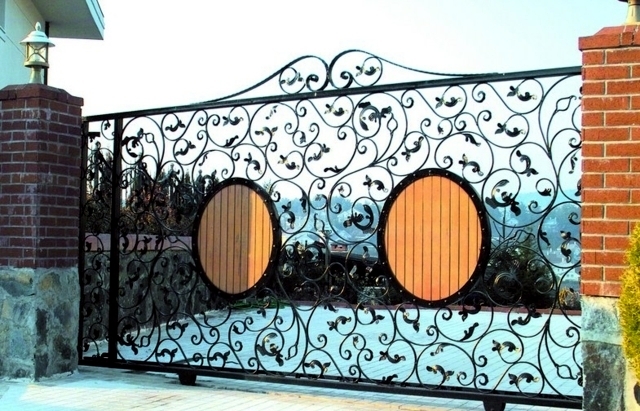 If not treated when purchased the protective coating must be applied after assembly. 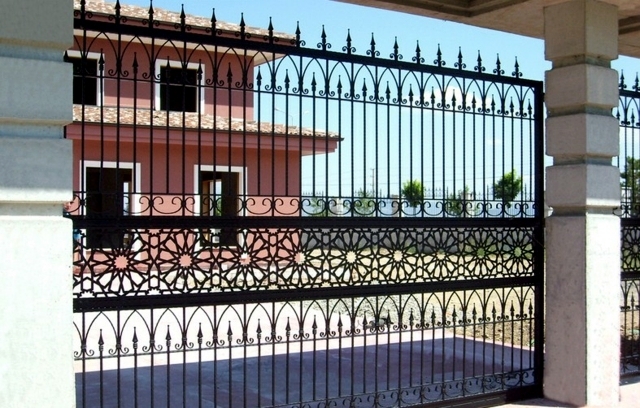 There is also a special metallic coating that protects against corrosion and the supplier should talk to you about this and when it is best to apply it. 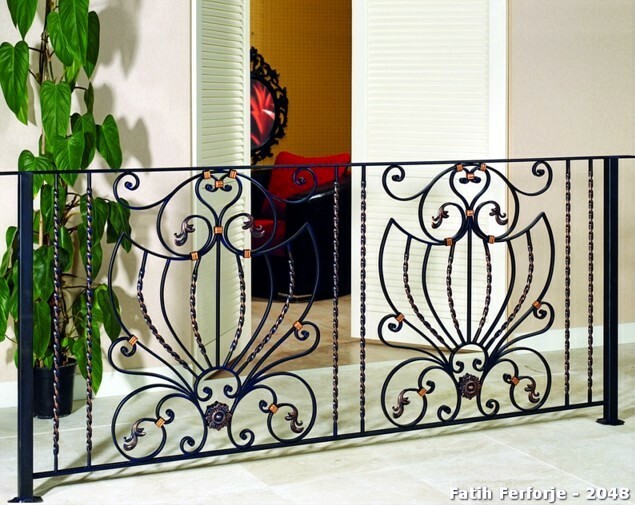 Your manufacturer should also advise you about protecting your iron from scratches and rust. 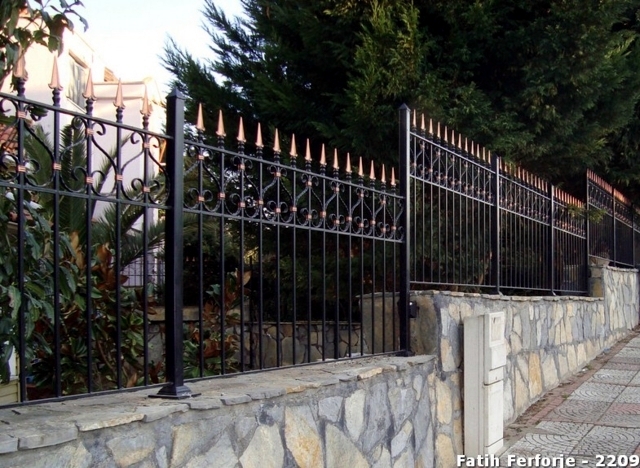 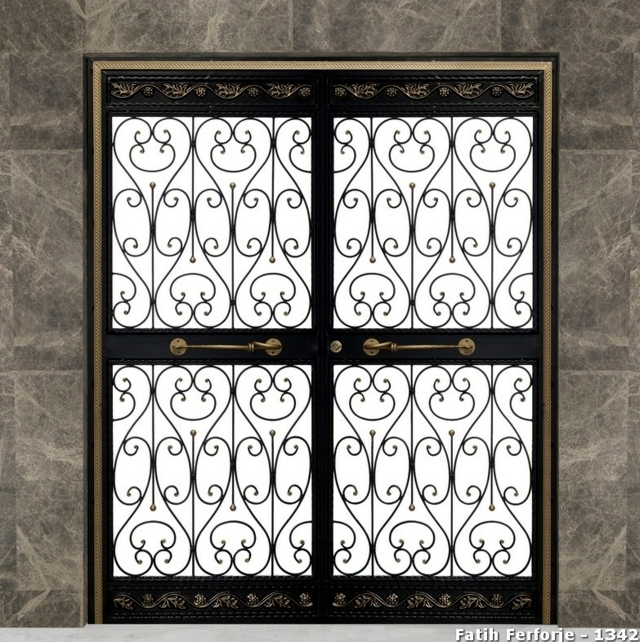 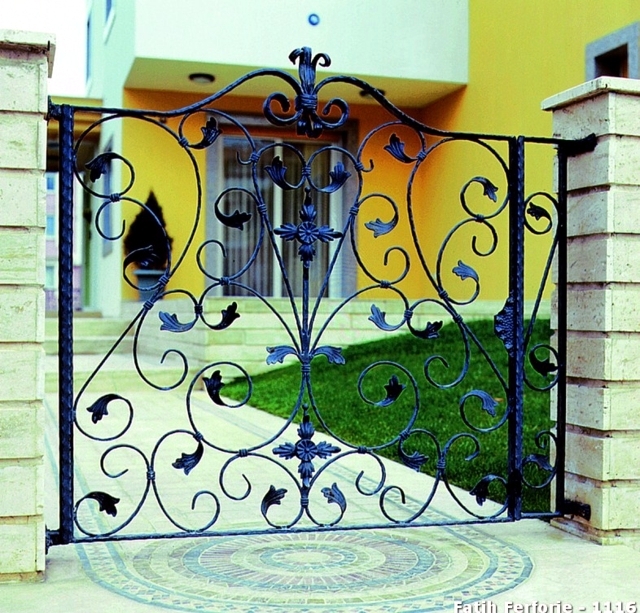 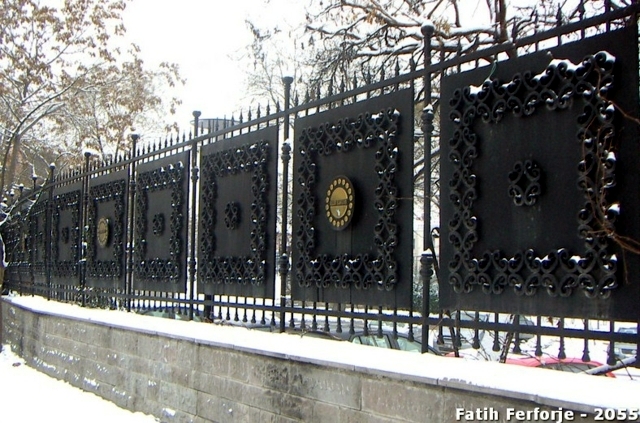 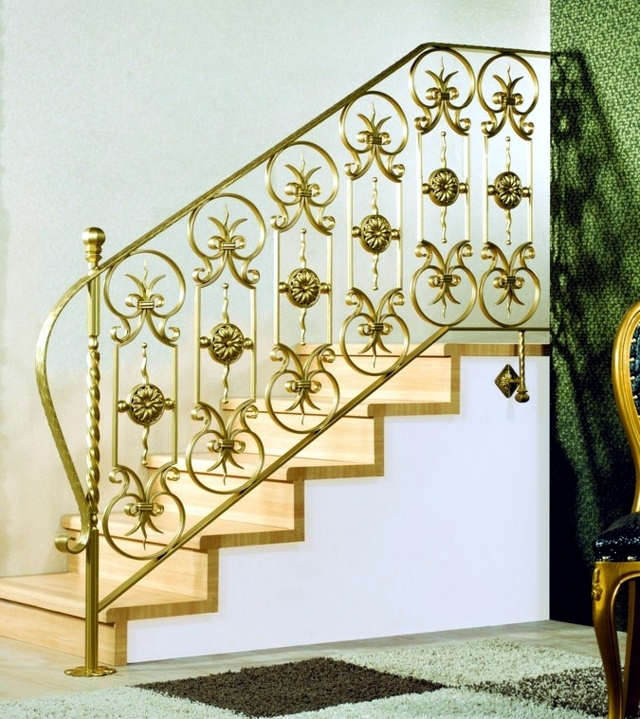 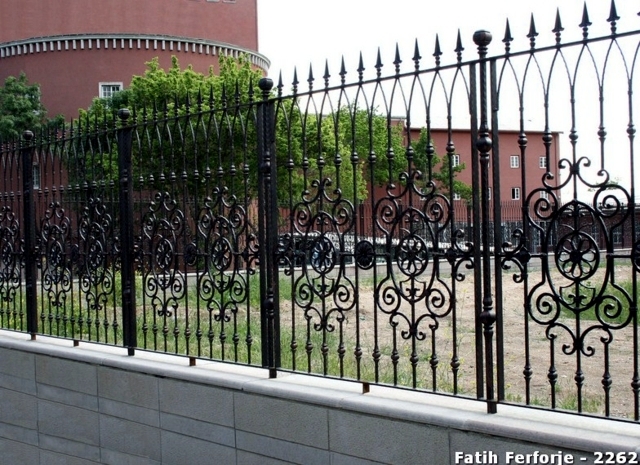 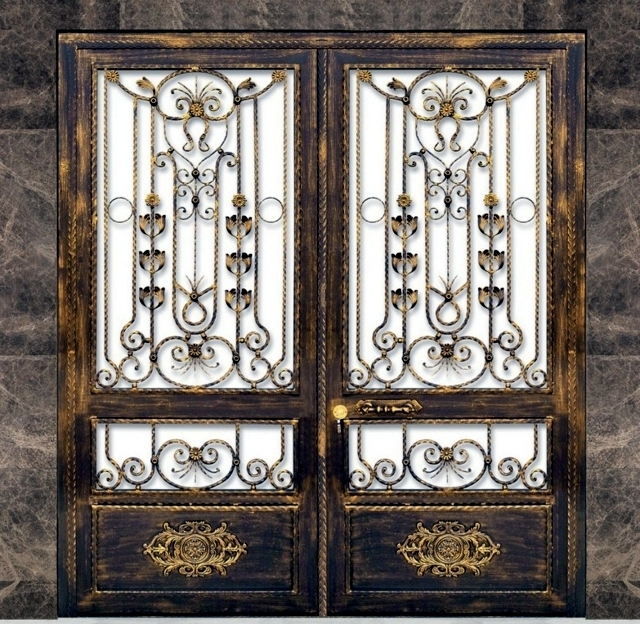 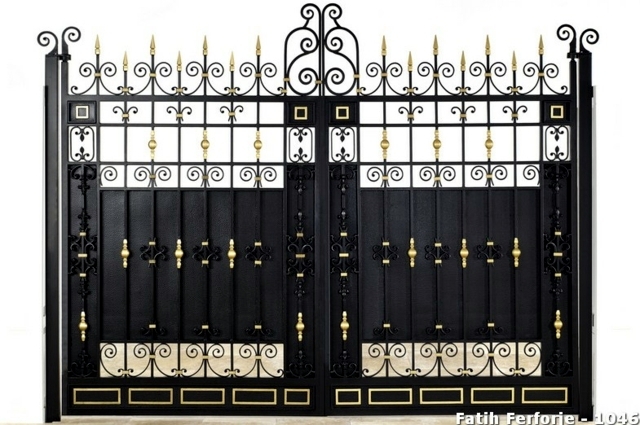 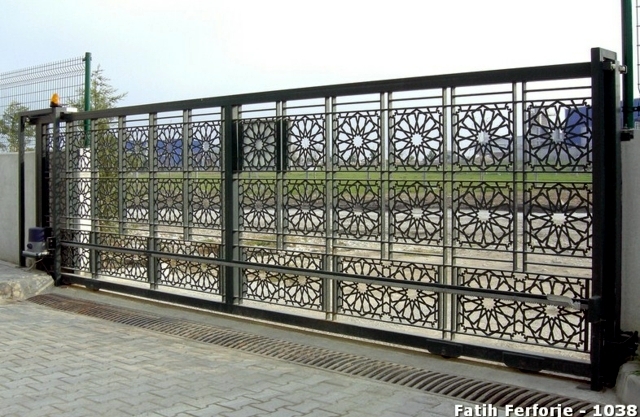 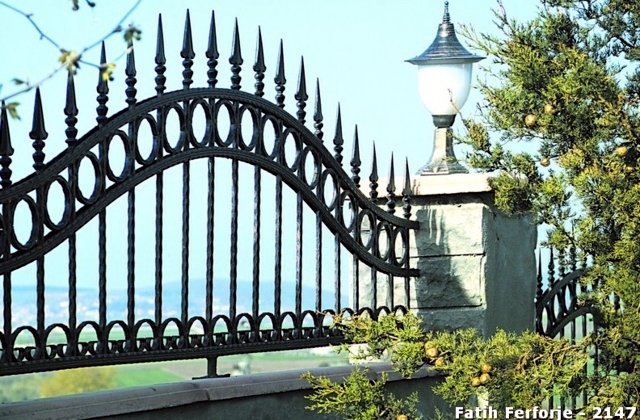 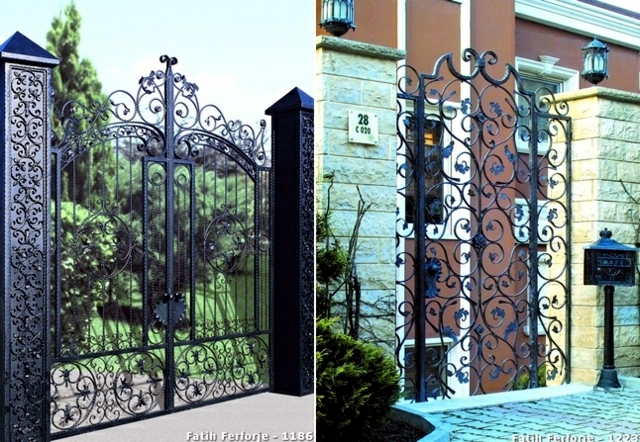 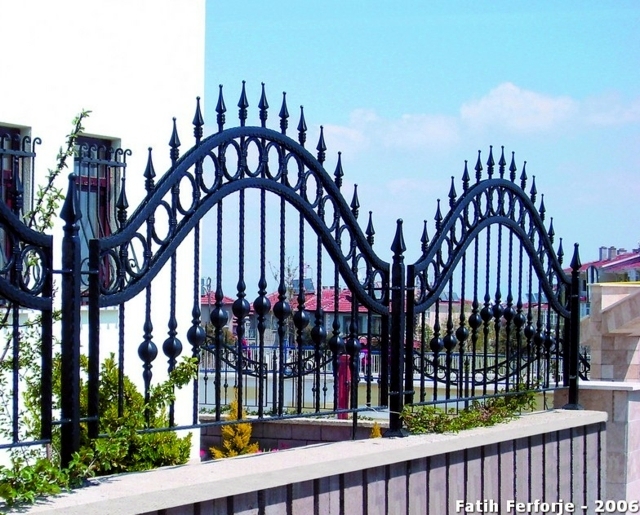 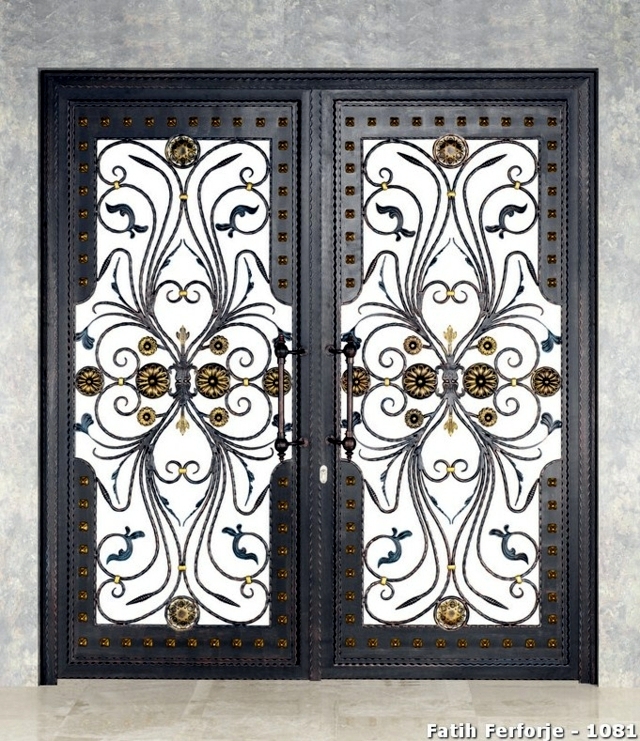 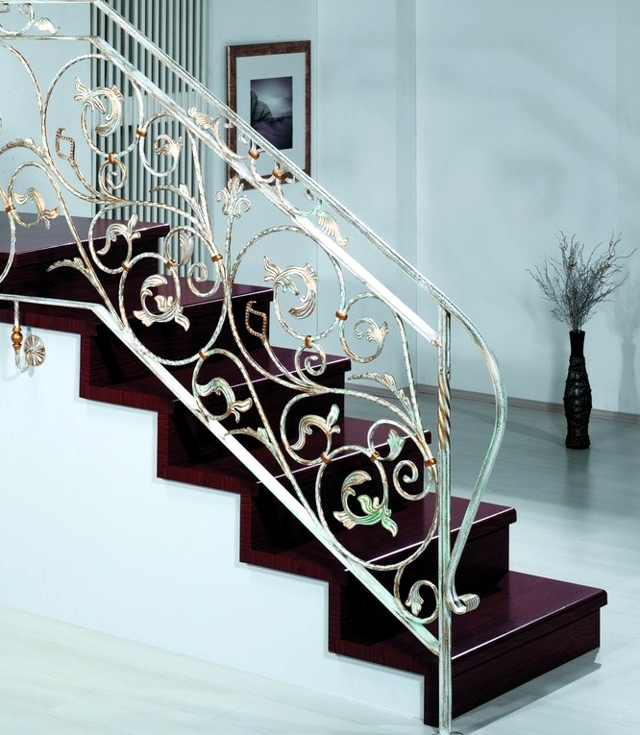 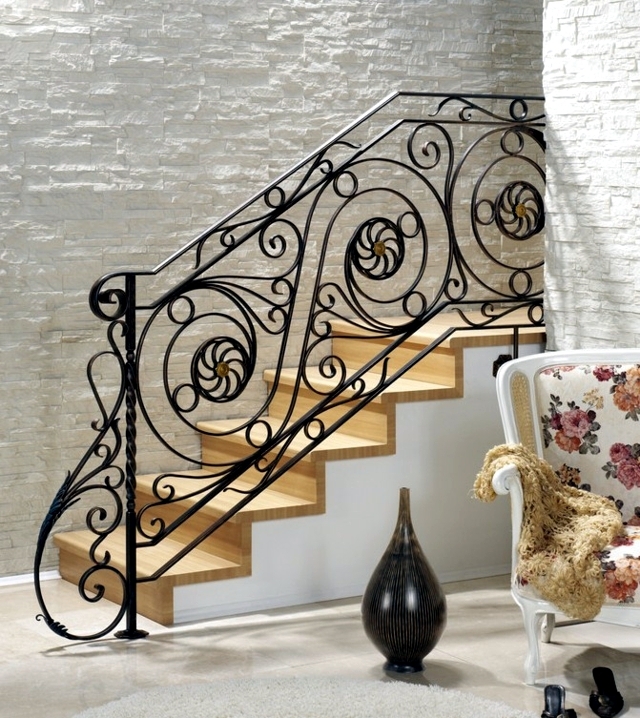 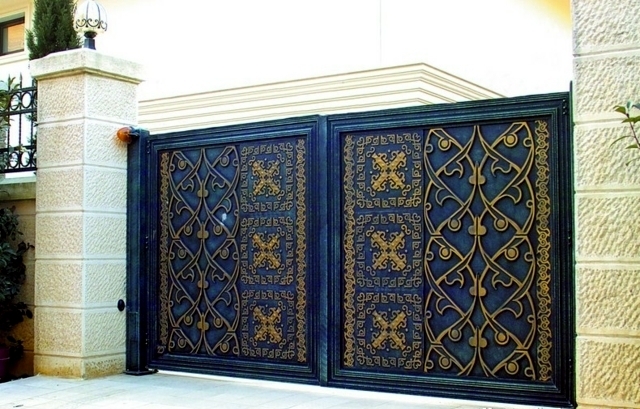 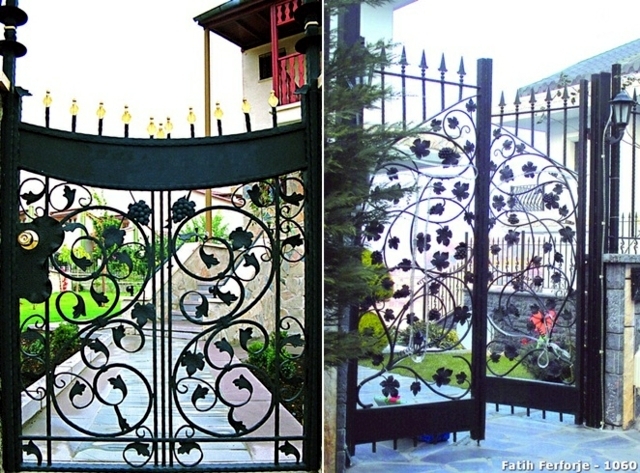 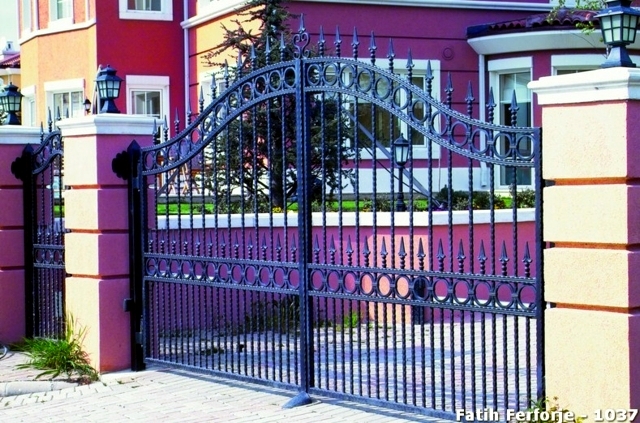 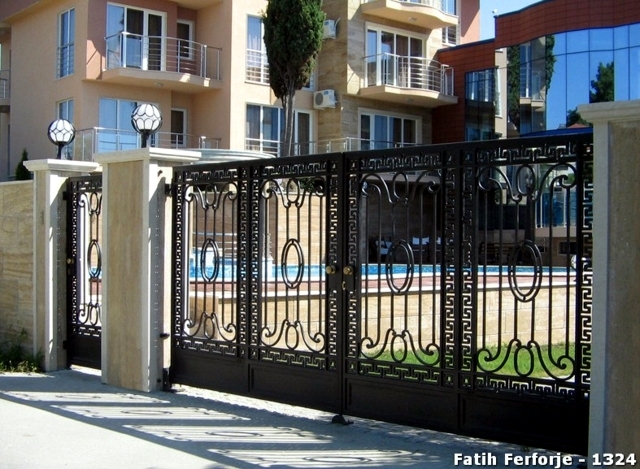 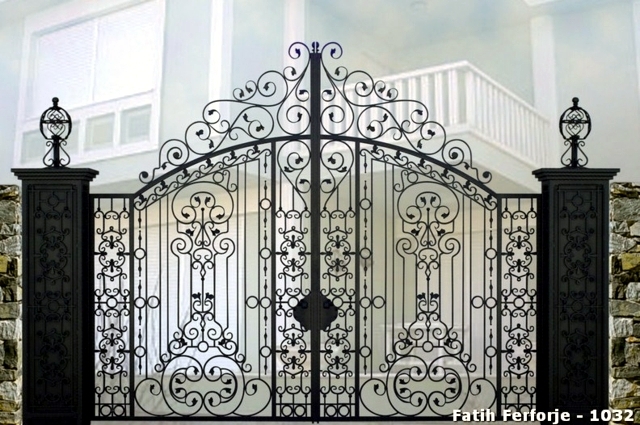 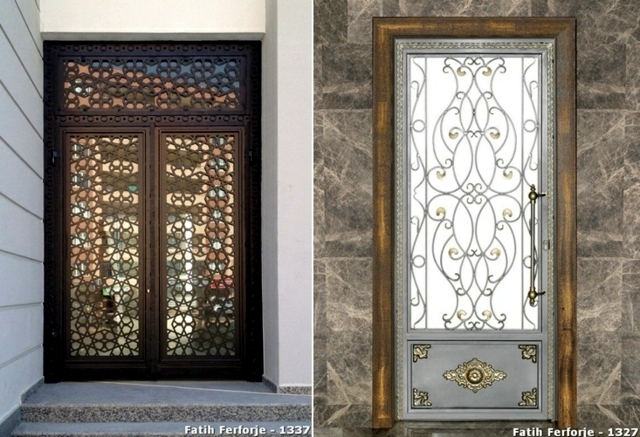 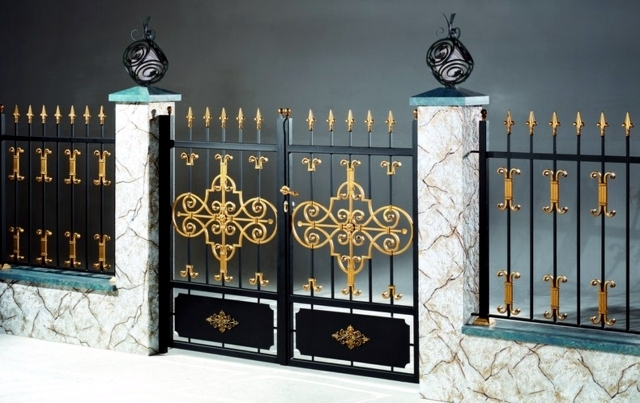 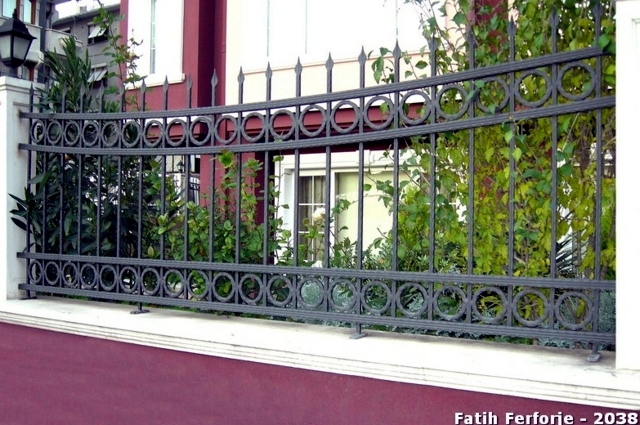 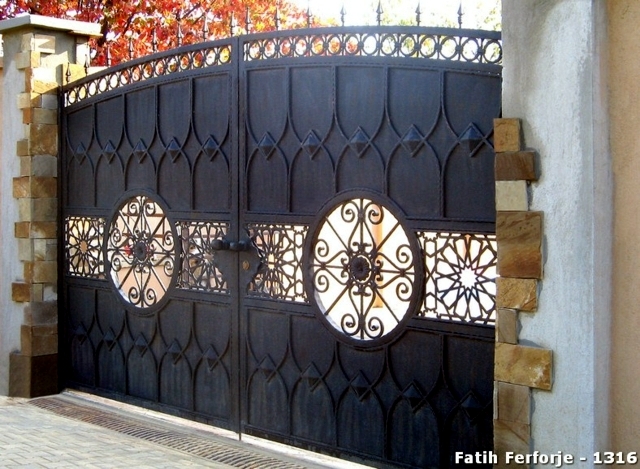 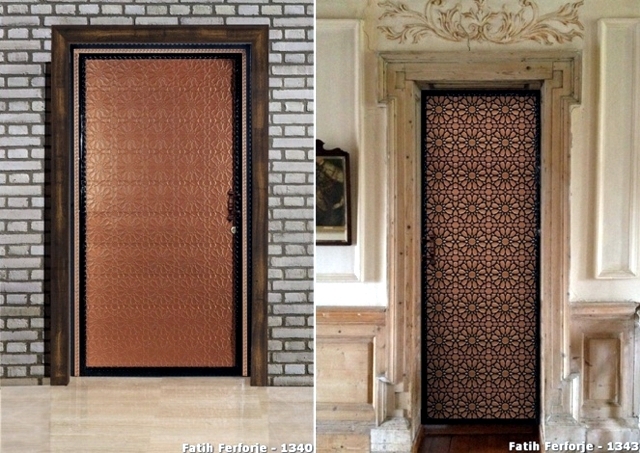 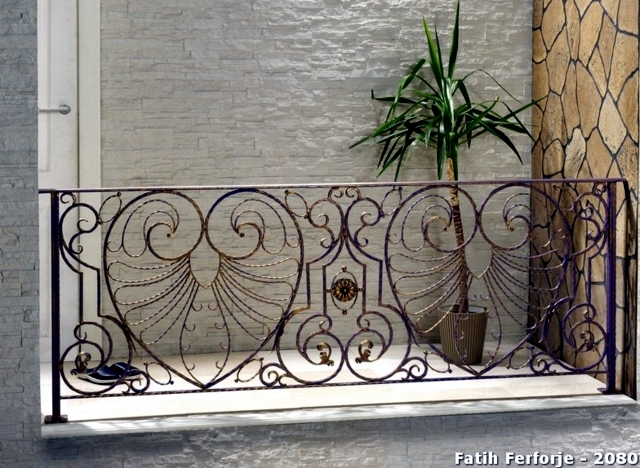 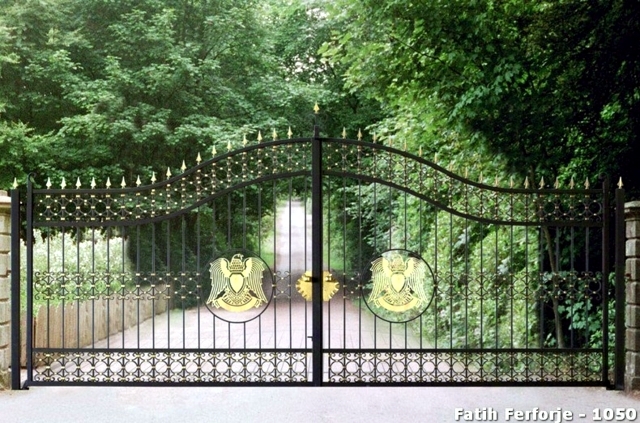 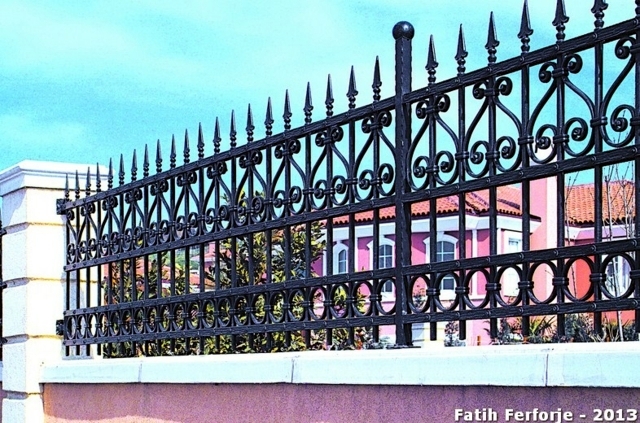 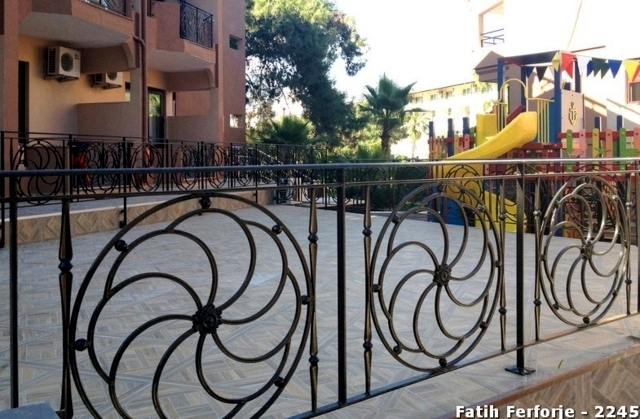 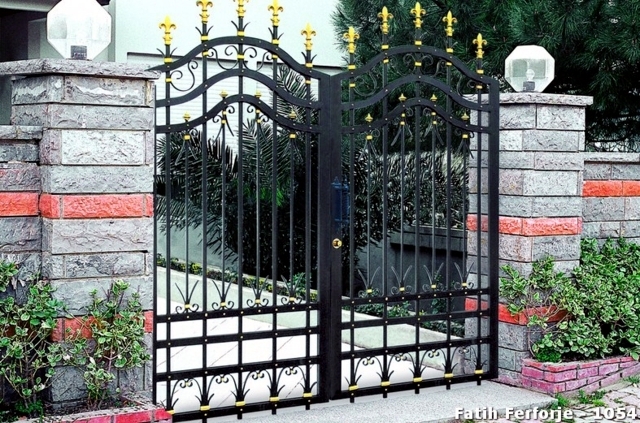 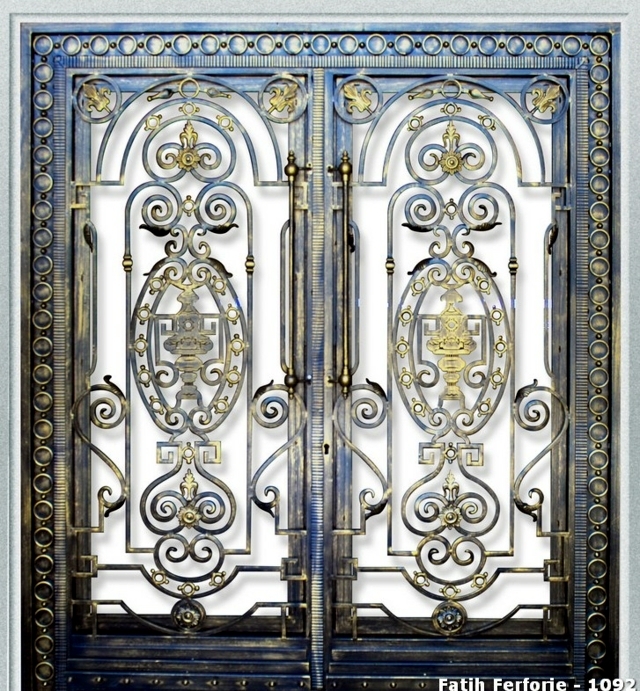 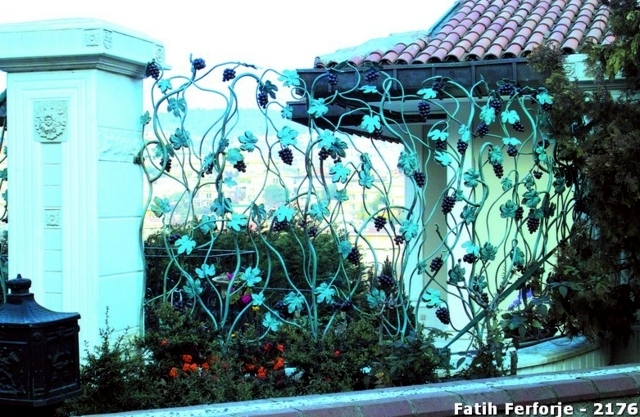 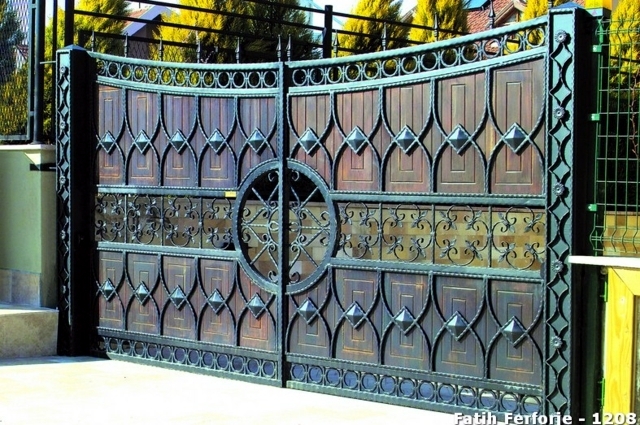 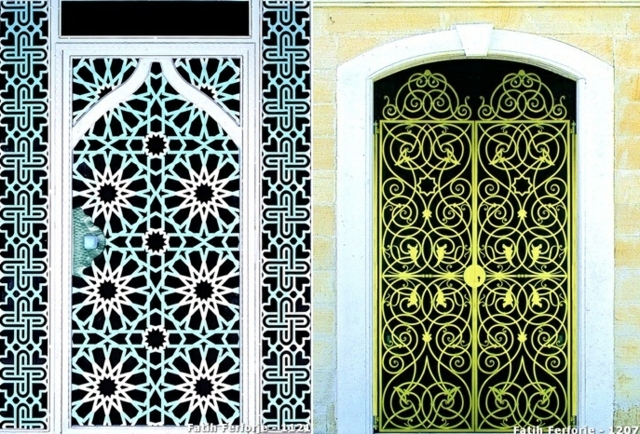 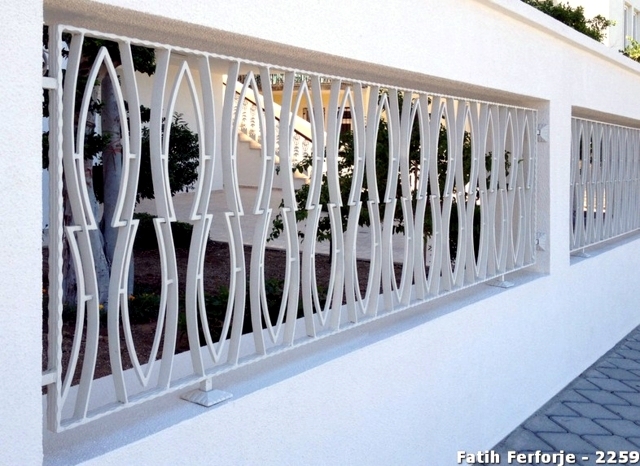 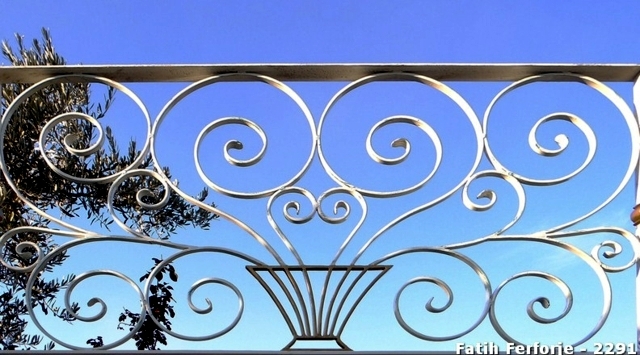 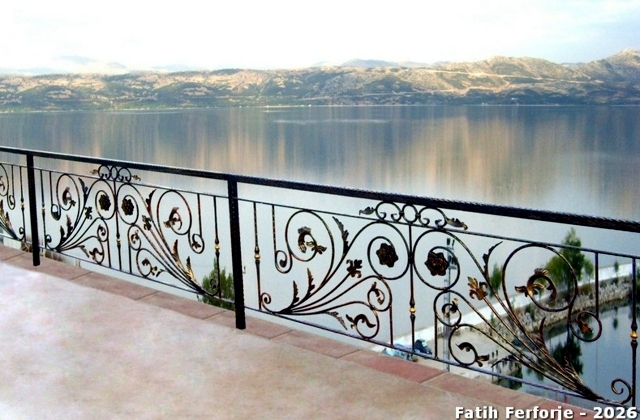 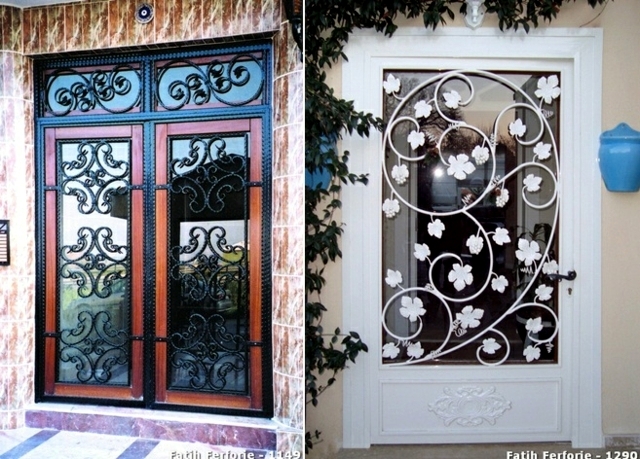 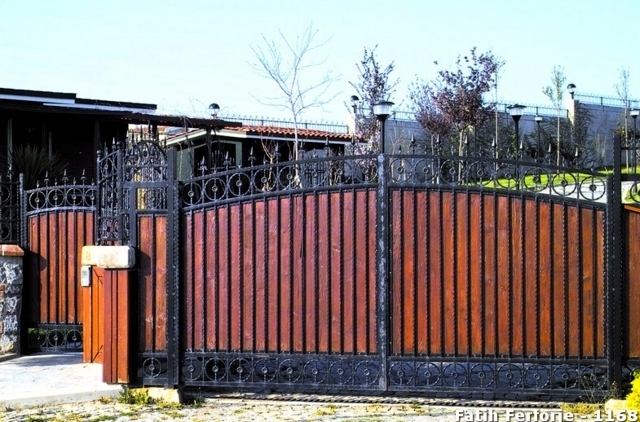 We love the beautiful wrought iron collection from Fatih and also the fabulous iron gates from Naturtein. 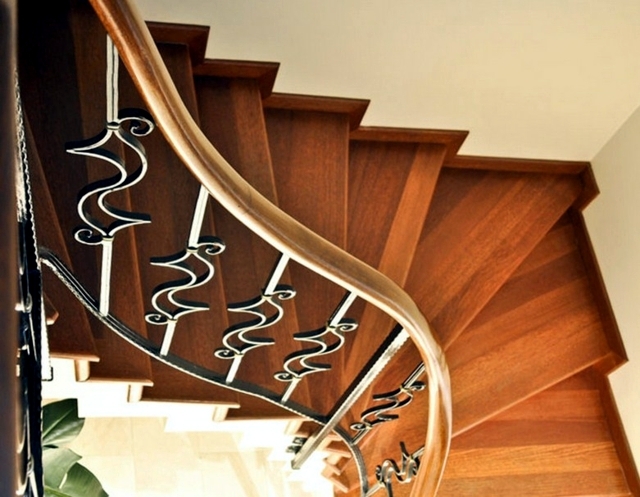 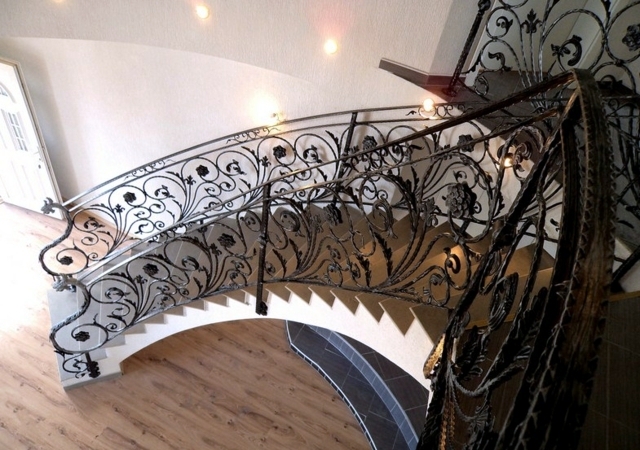 Interior wrought iron staircase - a real eye-catcher! 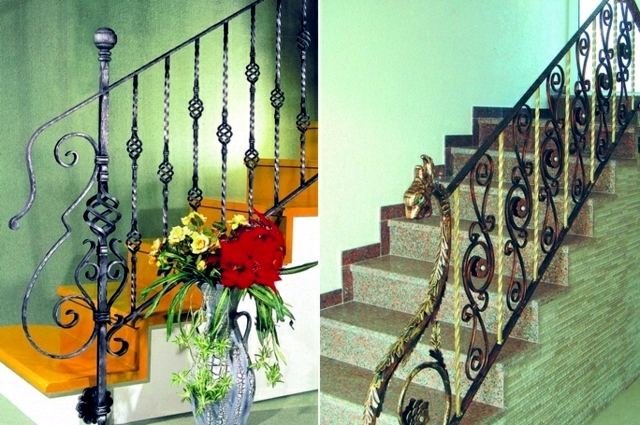 Wrought iron railings are still as popular as ever. 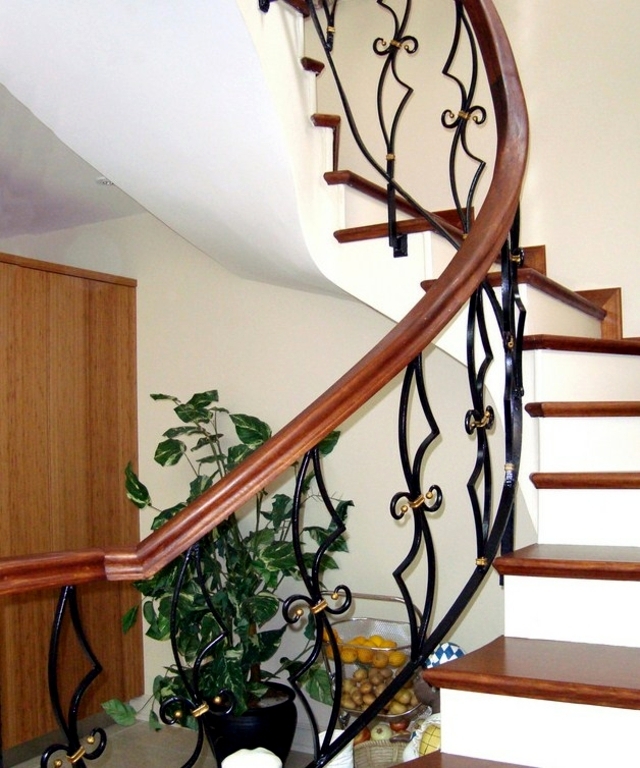 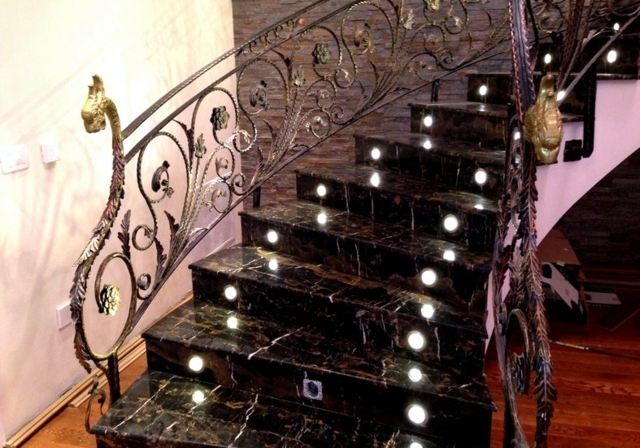 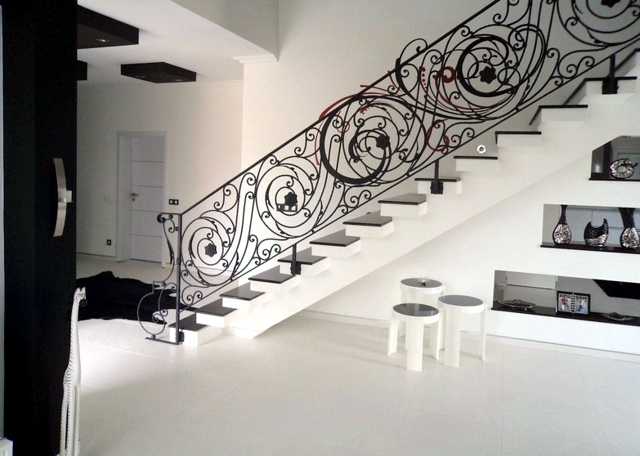 Effective combination of materials - wrought iron railings, stone wall and marble stairs. 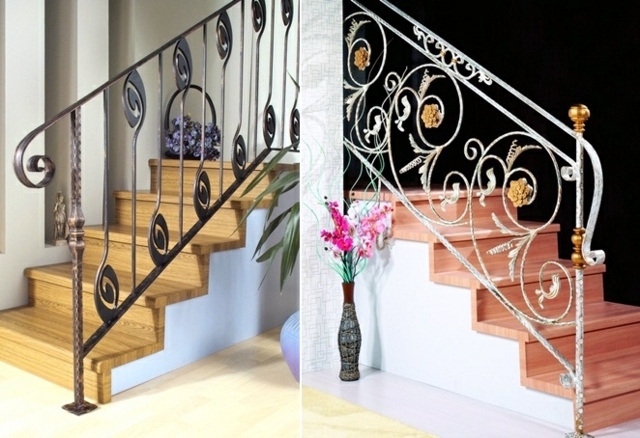 Stairs in contrasting colors - cherry wood steps and iron railings. 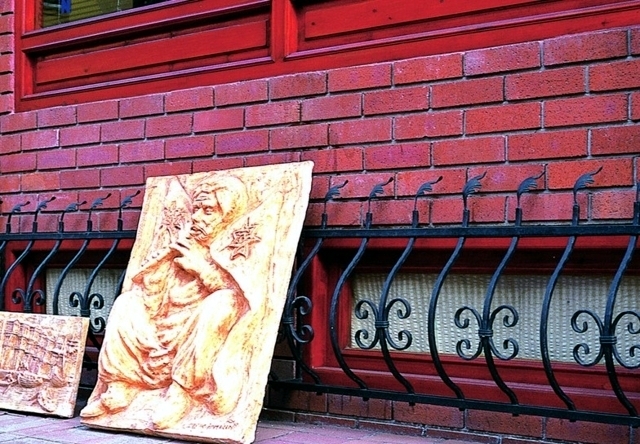 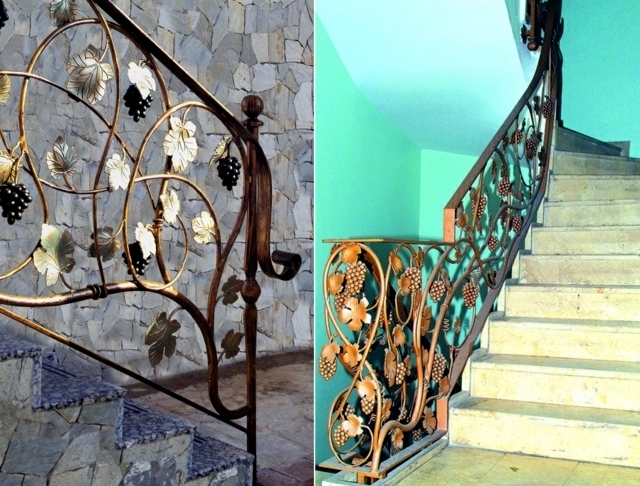 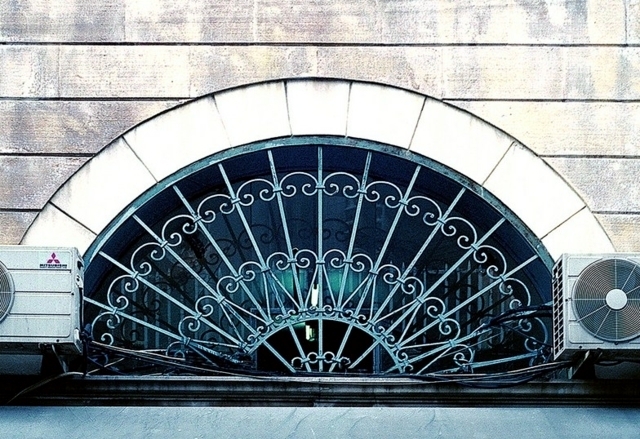 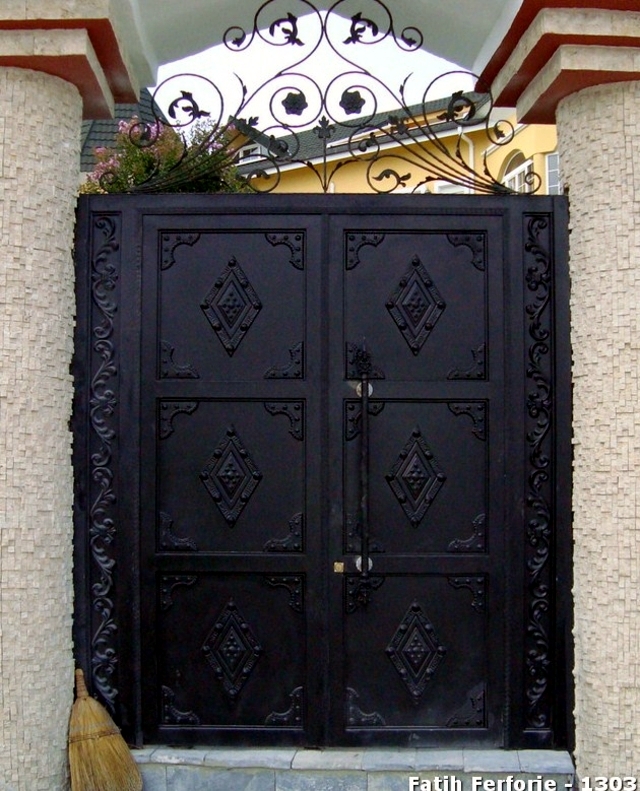 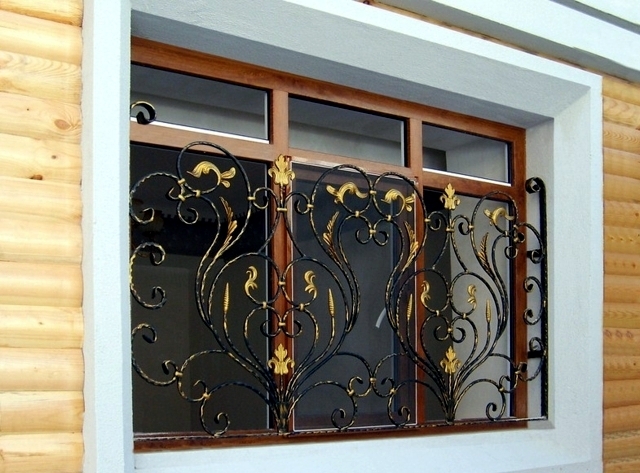 On request, wrought iron can be painted in a different color - for example, gold. 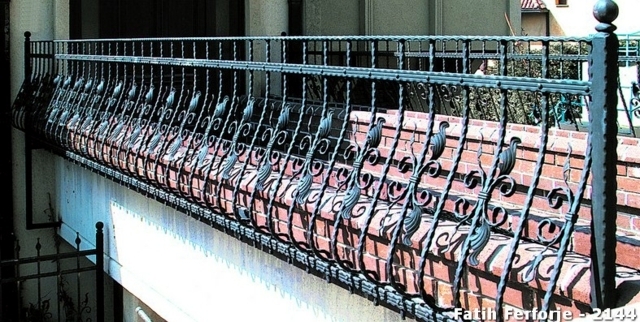 Wrought iron railings - easy to clean. 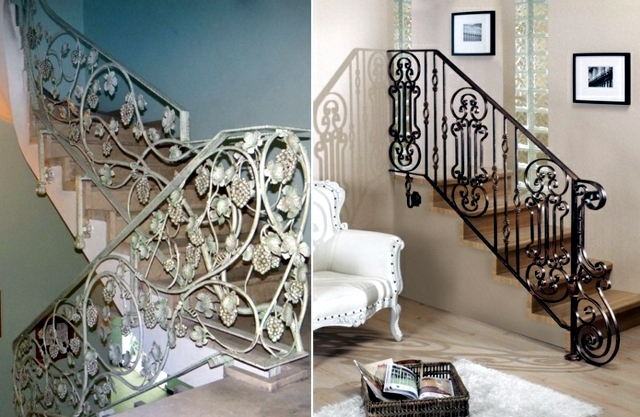 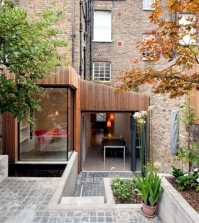 Two excellent examples of a successful mix of styles - classic meets modern. 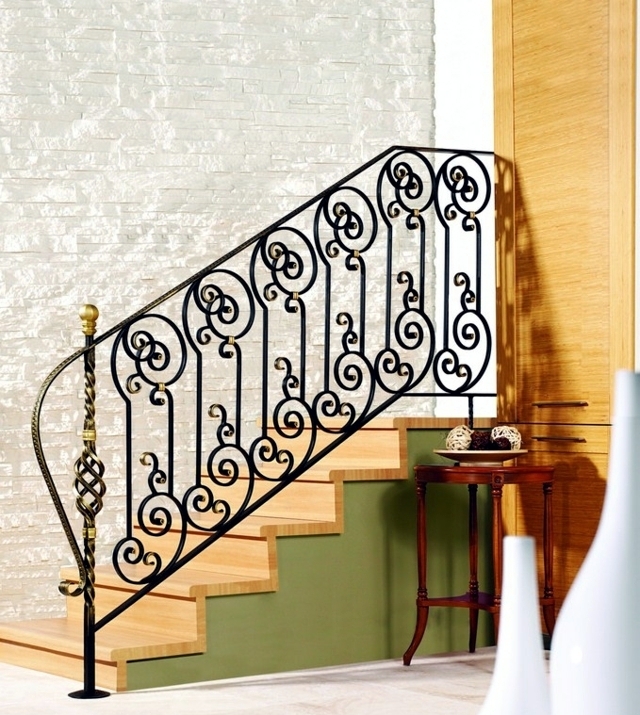 Cement and iron spiral stairs - interior design in classic style. 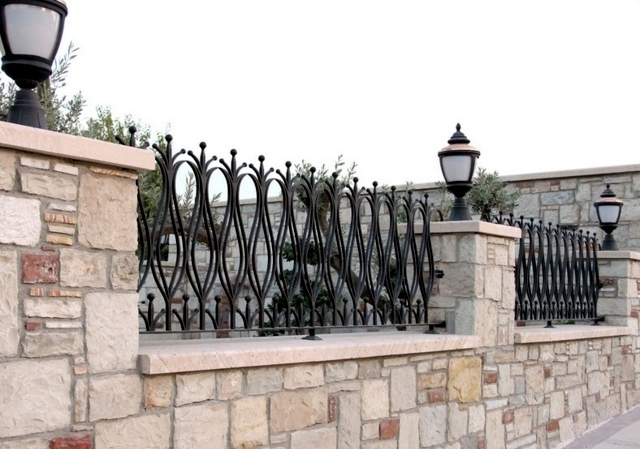 The irresistible charm of combined of materials - natural stone and wrought iron. 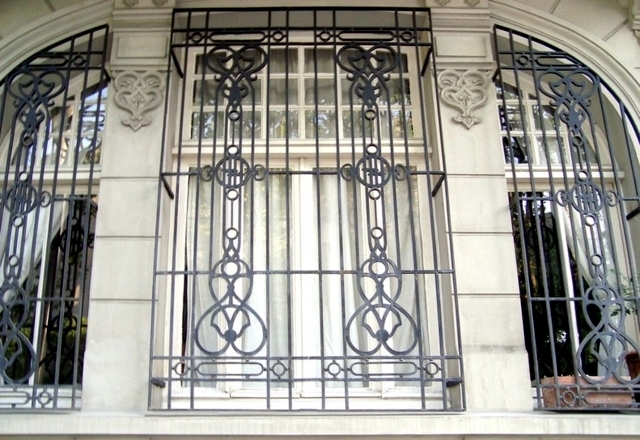 Many ornamental motifs in classic style. 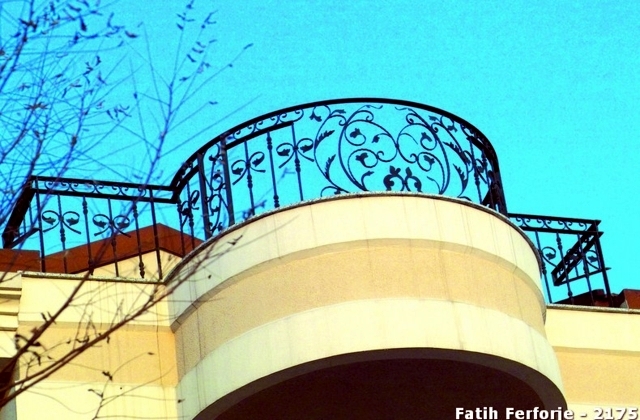 You see the dragon head? 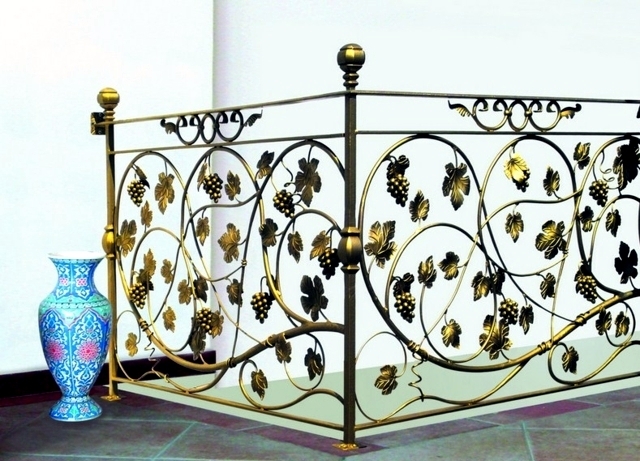 Decorated with motifs of grapes and autumn leaves. 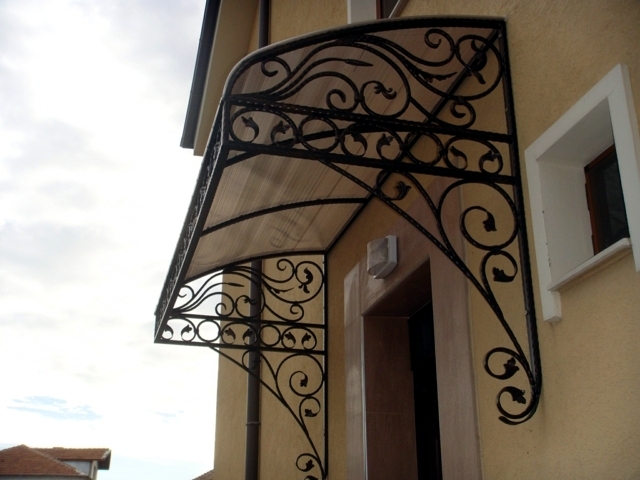 Can also be used in other areas. 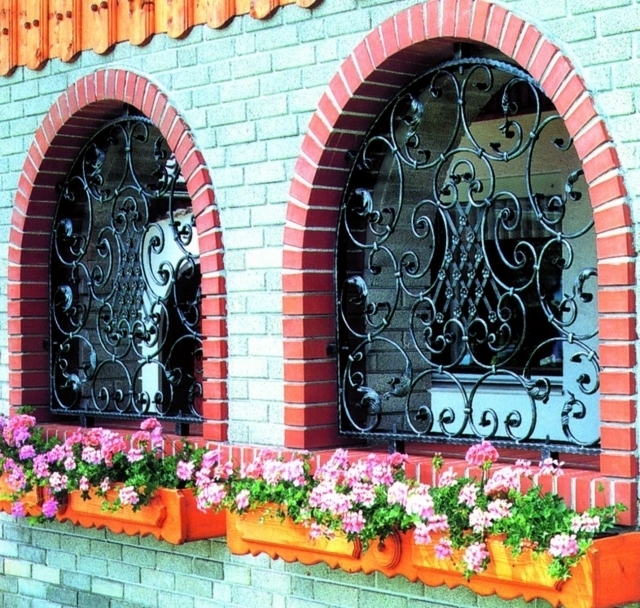 Grid window in the form of flower pots. 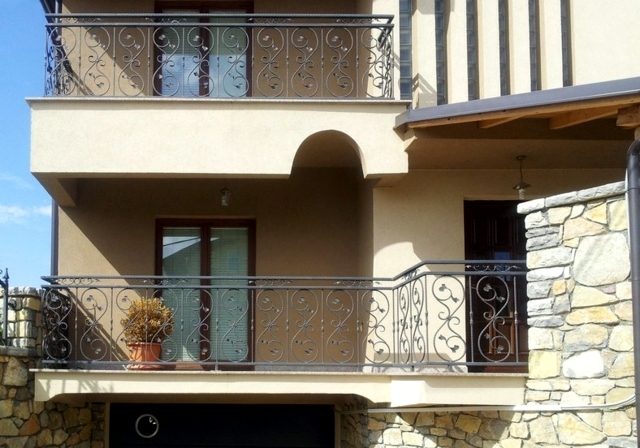 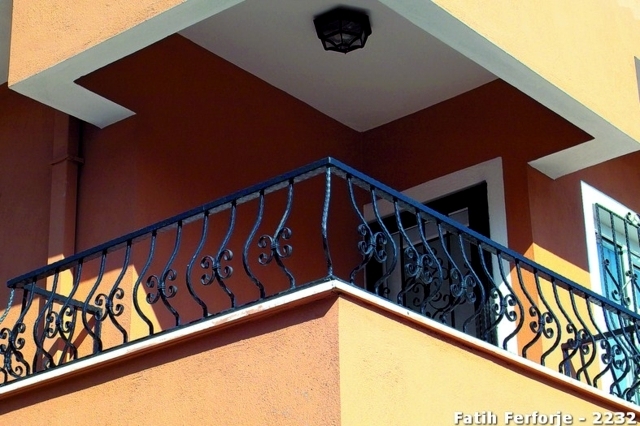 Railings of wrought iron balconies give the facade a lift. 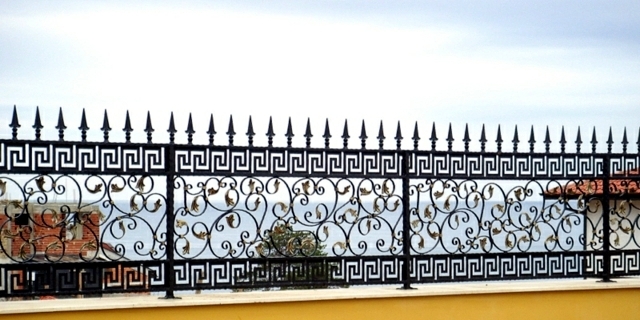 Garden fence - wrought iron rods. 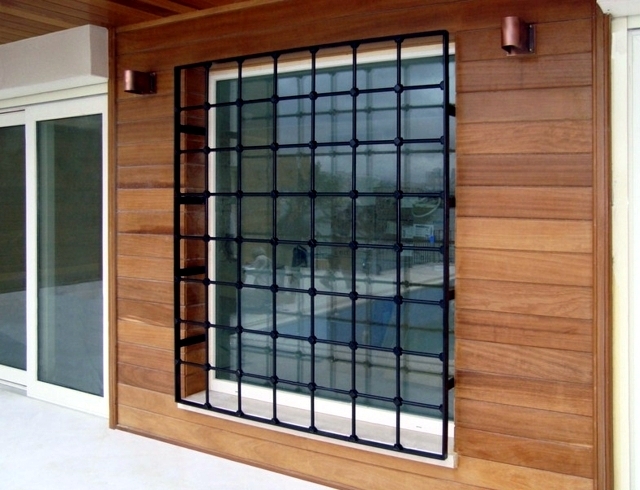 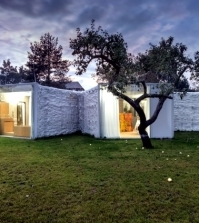 Simple prefabricated model assembled on site.